Following the release of the TC-06 clip set from the Textile Range in 2016, Fastmount has responded to market feedback by designing a surface-mount clip to attach cushions to superyacht decks – the TC-SM6. The male TC-SM6 joins the TC-F6 and TC-M6 as part of the Fastmount Textile Range, which was designed to enhance the process of precise cushion placement and removal on superyachts. The new clip can be used in conjunction with the female TC-F6. While the original TC-06 clip set was met with enthusiasm from European boat yards, market feedback determined the requirement for a male clip that would not need screwing into the deck substrate. Fastmount quickly set to work, resulting in the TC-SM6, a translucent, UV-stabilised surface mount clip, which attaches to the substrate with an extremely strong, clear adhesive tape on the wide base of the clip. Its translucent nature ensures the lowest possible visibility of the clip once the cushions have been removed, and the deck is exposed. Compared to traditional upholstery fixings such as hook and loop tape or rope tracks, the TC-SM6 has two key advantages: its adhesive backing which ensures both quick installation and zero holes in the deck; and its transparent nature allowing it to adapt to its environment, taking on the colour of the substrate. “The Textile Range has been a successful addition to our range of products, and being able to offer a transparent, surface mount version of the male opens the TC-06 up for use in even more areas. We look forward to seeing the new projects that come out of this release,” comments Gregg Kelly, Managing Director of Fastmount. The TC-06 clip set was nominated for a DAME award in 2016, and awarded the John ‘Walkabout’ Sisson Innovation Award in March 2017. The new TC-SM6 is available as a part of the Textile Range from authorized Fastmount distributors worldwide. 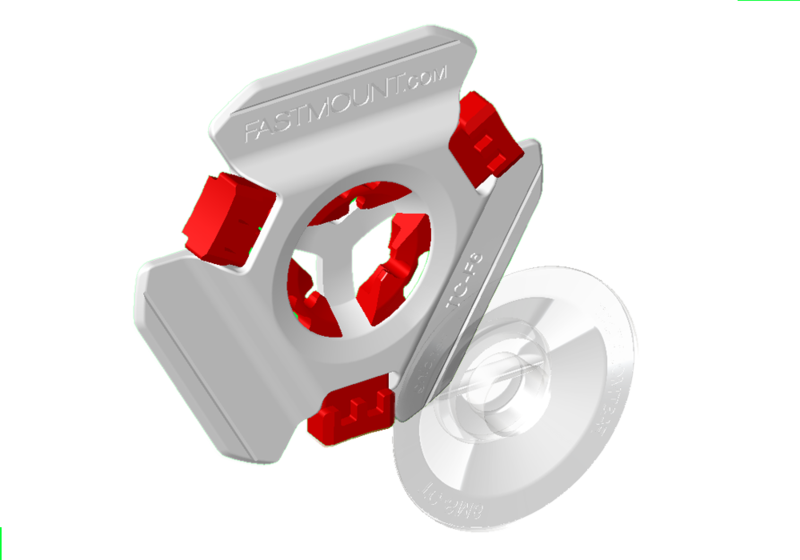 Set up 12 years ago, Fastmount is an award-winning New Zealand company designing and manufacturing hidden removable fasteners specifically to service the marine, architectural, aviation and vehicle industries globally. With boatyards in over 50 countries using the Fastmount Panel Mounting System, its exceptional performance in the marine sector has since attracted companies in the architectural, recreational vehicle and aviation industries to use Fastmount products. The Fastmount team combines extensive experience in the demanding marine industry and understanding of the architectural and interior design sectors as well as a global network of distributors. For more information about Fastmount visit www.fastmount.com.